Remarkably, Fiat still sells its ancient Punto in the UK. The car has been kicking around since 2005, which might make you wonder just how safe it is compared to more recently superminis. Wonder no more, as we have the answer: it’s way, way off. 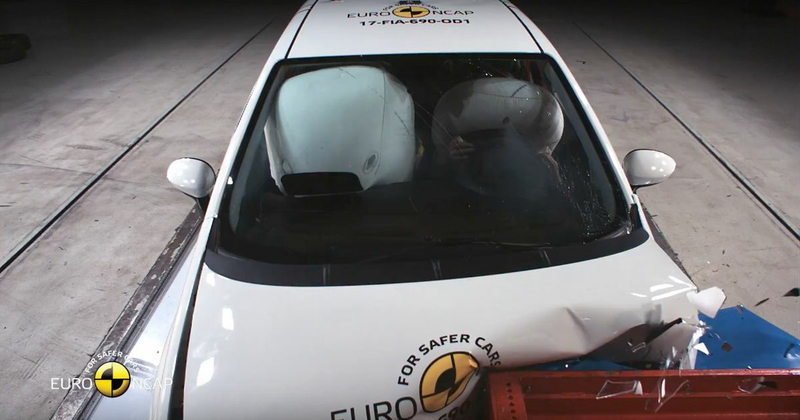 It did just fine in its Euro NCAP crash test upon release, clocking five stars for adult occupants and three stars for child passengers, but as car safety has moved on, so have crashed tests. When put through the current, more stringent Euro NCAP test, the Punto managed…zero stars. That gives the little Fiat the dubious honour of being the first ever car to be given such a rating. This time around it managed 51 per cent, 43 per cent and 52 per cent in the adult occupant, child occupant and pedestrian categories respectively. It was a zero per cent rating in the ‘Safety Assist’ category that sealed its fate as a zero star car - other than a seatbelt reminder, it doesn’t have much in the way of the preventative tech we’ve become accustomed to in modern cars.